The XTENDEX® HDMI HDBase-T Extender transmits uncompressed digital HDMI signal, IR, optional RS232 and optional Ethernet up to 600 feet over a single CAT6a/7 solid cable using HDBase-T technology. 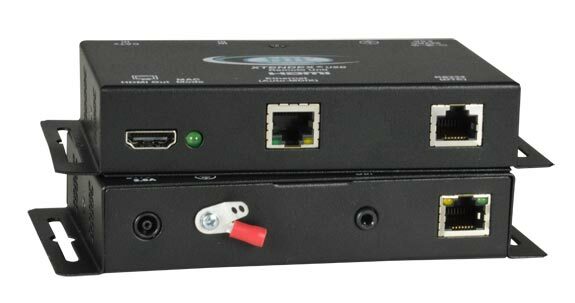 Each video extender consists of a local unit that connects to an HDMI source and a remote unit that connects to an HDMI display. Integrated mounting brackets for easy surface/wall mounting (ST-C6HDE-HDBT only).